juli 2009 | 156 blz. 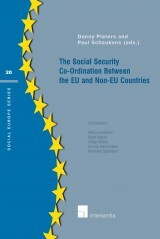 This book sheds an innovating light on the relations between EU and non-EU countries and nationals, as far as social security is concerned. These are dealt with in a number of contributions by eminent international experts.